Ingeegoodbe, ridden by Taylor Marshall, has led home a Robert Heathcote-trained quinella at Doomben. Heathcote’s pair of Ingeegoodbe ($6) and Ruling Dynasty ($5.50) shared the lead for virtually the whole race before Ingeegoodbe prevailed by a nose. “We decided there was no pace in the race and Ingeegoodbe would be able to lead,” Sharpe said. 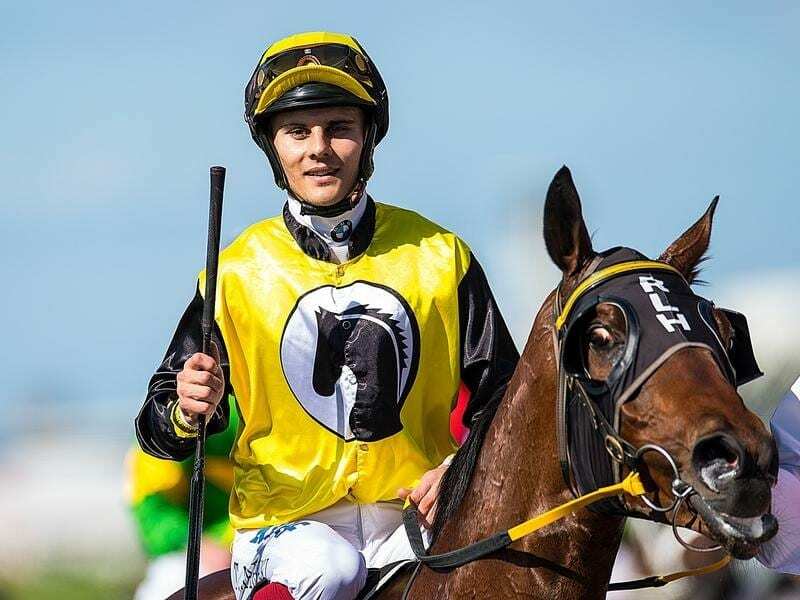 I’m Belucci ($10) turned in a solid run to be third,1-1/4 lengths back and trainer Desleigh Forster is looking forward to him having another middle distance start in a fortnight. “He hasn’t been beaten in anything yet but today was a great effort because that was a hot field. He is a tough horse and has a big future,” trainer Kelly Schweida said. “That was my first winner at Doomben since 2007. Luckily I have been winning at other tracks but I have had a lot of seconds at Doomben,” he said.